Interested applicants should fully review all program eligibility requirements and complete the 11 prerequisite courses, 100 observation hours, GRE, and baccalaureate degree. All applications to the Army Baylor DPT Program must be submitted via PTCAS. All academic questions related to the educational program should be directed to the DPT program email. Prospective applicants are not required but encouraged to request a tour of the program facilities at Ft Sam Houston, TX where they can meet faculty and students. Applicants must make their own travel arrangements to San Antonio and a tour must be arranged at least 4 weeks in advance. Please reference the Program Tours page for more information. If you have trouble locating a recruiter please go to Find a Recruiter and select Medical (AMEDD) as the area of interest then enter your zip code. U.S. Army Recruiters will not provide educational guidance or information regarding prerequisite courses. The US Air Force has a separate selection process open ONLY to Active Duty Air Force Personnel and USAF ROTC/Academy Cadets. Prospective Air Force students must notify AFPC/DPANW of their intent at the contact information below. All services share the same academic eligibility requirements and prerequisites. Please read the prerequisite requirements link to learn more about the program. Prospective Navy students, should begin the application process by contacting the Regional U.S. Army Health Care Recruiting Counselor in their geographical area to begin the PT program application process. 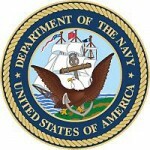 Once the Army-Baylor University DPT selections have been made, students selected for one of the Navy seats will need to contact the regional Navy Medical Recruiter in their geographical area to begin the application process for accessioning into the Navy. Make sure you explore Eligibility Requirements / Prerequisites for information about the program.